The chapel is the hall for all family members gathered, worshiping ancestors. 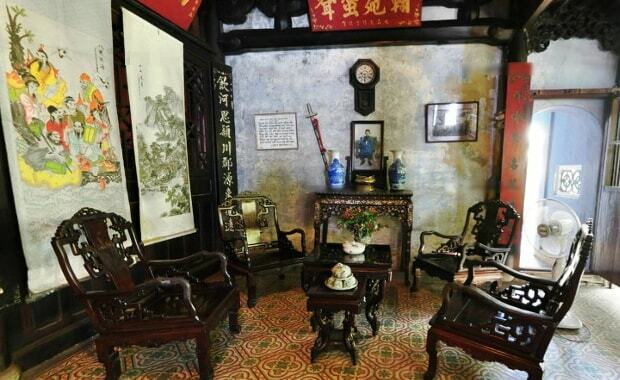 The house was built by Tran Tu Nhac, a clever mandarin under King Gia Long of Nguyen Dynasty 200 years ago. 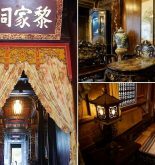 The house reflects the lifestyle of the aristocracy Vietnam and clearly shows the traditional values. 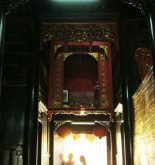 The Tran Family Chapel is also made by wood like other old houses in Hoi An. The difference is the space of 1,500 meter square large garden surrounded by high walls with lush vegetation. There are many lanterns lighting up the entire house from inside to outside. The structure is influenced by oriental architecture style in Japan and China, which is divided into 2 parts: the main part is used for worshipping and the subsections are for patriarch and guests. The house is constructed harmoniously in compliance with stringent rules of “feng shui”- a philosophy about five elements that create and balance the world. The worship room in center of the house is carefully decorated. Three doors of the room are open for different people. The main door is for the old in Tet holiday or festivals. The other doors are for male and female separately. 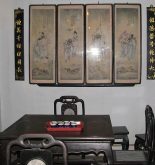 On the doors are high steps, that make people who get into the room naturally bend his back and make his bow, before the status of Tran Tu Nhac mandarin. In the back yard is a garden with tall mound known as the “native land” of the family. Every year, on Tet holiday, all her children in the family are gathered together to express gratitude to grandparents, ancestors. The Tran Family Chapel will make you feel more proud about traditional culture “drinking water, remember its source” people of Hoi An in particular and Vietnamese people in general. To the foreign visitors, Tran family is worth seeing to have an insight about Vietnamese traditional value and featured structure and architecture. Ticket: including in the Hoi An Ancient Town ticket package.